Pedro Mercedes was born in Cuenca, in the Cuenca below but with all the ancient and mysterious basin; on July 31, 1921, on Carretería Street, son of Tomás, fruit setter, and Encarnación. Both his godfather and his father decide that he must be a bullfighter, and the boy makes the inauguration of Cuenca´s bullring , in 1927. When his father died in 1929, his mother married in second marriage with Florentino Merchante, the potter. For Pedro Mercedes, luck is cast. The first time he saw his stepfather turning a piece was dazzled. And he knew that he could never work in anything else than the divine potter’s trade. In April 1933, he left school and began to collaborate with his “uncle” from the humblest jobs. He began to attend the School of Arts and Crafts, of the Provincial Council, along with his teacher Fausto Culebras, painter and sculptor from Cuenca. With him he discovered his great intuition, the certain possibility that the modeling of humble clay, embroidered and scratched, could become sublime art. Starting with its first botijo in 1934, going on to make larger pieces such as jars and pitchers. 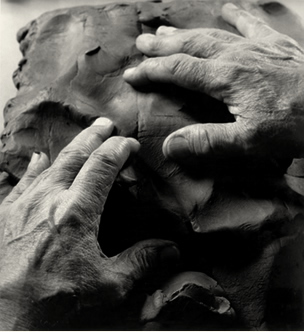 These tasks were developed through perseverance and respect for the natural process of clay, which together with tenderness, consolidated the personality of the potter. He increased his interest in experimenting, it is when he felt the temptation of the rays, producing the incision in the polish and the virginal body of a “pot” of clay, dried his “love” and finally draw. And from 1939 he entered fully into this field, beginning to elaborate stylized paintings in which animals and human beings appeared mixed. Pedro Mercedes met Angustias in 1940. Destiny gave a new surprise to the life of Pedro, appeared the other great love of his life, the only one that can be confronted with force to the one of the alfar, since Angustias was the ideal complement, the logical reasoning that compares the fantastic world of Pedro Mercedes. In 1948 they bought the pottery, which could not be located anywhere else than in the neighborhood of San Antón, popularly known as “Las Ollerías”, and today aptly called Avenida de Los Alfares. On the banks of the river Júcar, has been installed what is now only Arab alfar in Spain. Without leaving aside the botijos, he looked for himself in the Iberian glasses, and taking away hours of sleep, after the work of any potter, putting hope in the task, he discovered and saw that combining varnishes and marbling, he got a good color. He also began to experiment in the world of shapes and volumes. He remodeled the ancestral Iberian bull, whose origin dates back to several centuries before Christ, horses, deer, gods, heroes, were defining that magical world in which the potter was submerged. Towards that alfar, characters and personalities approached, and pieces came out of him to all parts of the earth. 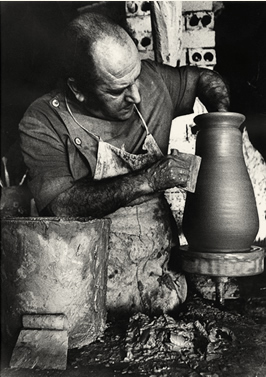 Even the brilliant Picasso, an artist Pedro Mercedes admired, came to certain pieces commenting: “The same magical creature has touched me and to Cuenca’s potter”. His work was being praised by great artists, intellectuals and as many people as have minimal sensitivity to the works of Pedro Mercedes, allowed them to capture the personality of a simple nature, a man in love with the land. All in all, the most significant phrase to Pedro Mercedes is the one that his faithful assistant always said to him in the alfar, José Martínez: “Pedro, I make the body of the pots, so that you can put your soul into it”. Mercedes’s furnace went out in 1988, the wheel stopped spinning. Pedro Mercedes wanted to be faithful, to his clay, to his wood oven and without that youthful strength, he did not want to replace it with technology. But the imaginative force was still latent in him and he needed to continue creating, he substituted the knife and the nail for the chisel, the clay for the copper plate, the scraping for the engraving. His symbols were still present in his new work, in which he experimented with new colors and themes. 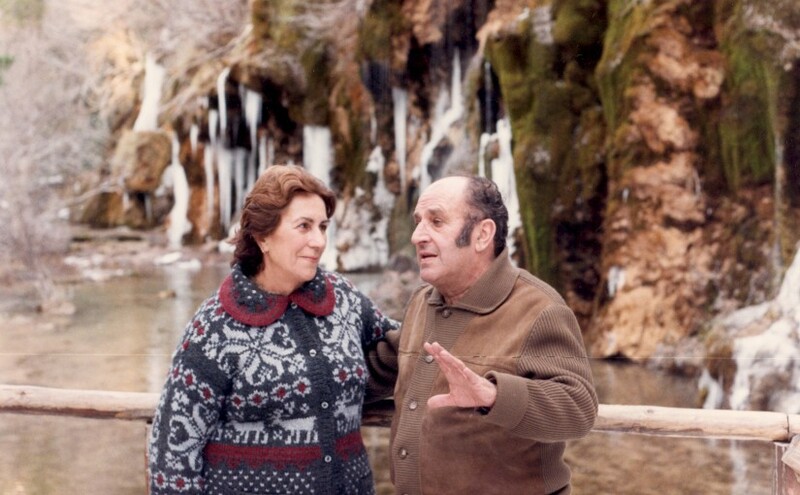 In 2004, his wife Angustias died, a situation that affected him physically and morally, until he ceased to exist, in his always beloved Cuenca, in February 2008. 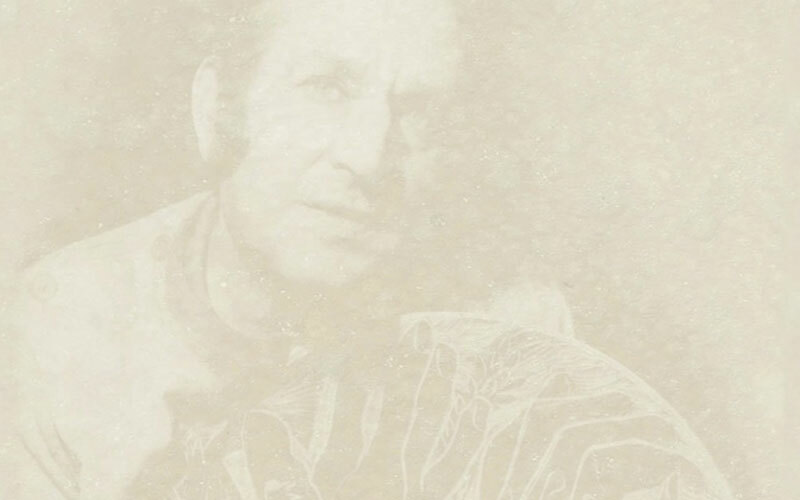 In 2010 the City Council of Cuenca wanted to give him a definitive recognition of his career by creating the “Pedro Mercedes Museum”, the museum of a life dedicated to clay, in order to disseminate his work and his alfar, locally and nationally. This is how one of Mercedes’s dreams came true. And we can not ask for more, neither as an artist nor as a person. Thank you Pedro.